It rustles in-between the trees, in the bushes, birds are chirping and fly from twig to twig. A lizard slowly moves from stone to stone and rests there. Ducks and turtles live together in a lake and compete in swimming. In the Biosphere you can experience many different animals, many of them in authentically designed terrariums and aquariums. You can also discover many small animals in-between the bushes. This is a small selection of all animals living in the Biosphere. The veiled chameleon can also be called the Yemen chameleon, because it is very common in the south of the Arabian peninsula, especially in Yemen. The chameleon (Chamaeleo calyptratus) can become as long as 50 centimeters and therefore belongs to one of the larger species. One of the characteristics of this chameleon is its changing color. The changing color has less to do with its surroundings but is influenced by its emotions. For example gravid chameleons are dark green with blue and yellow spots. From time to time there are baby chameleons in the Biosphere! – They are always very popular among the visitors. 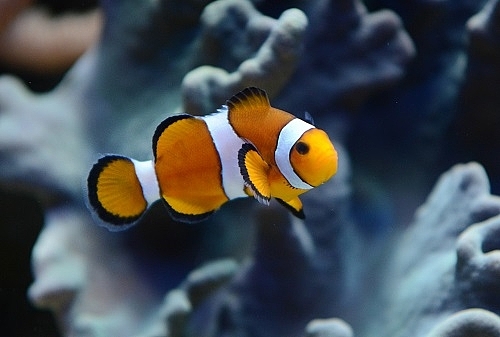 The ocellaris clownfish is a rather bad swimmer, that’s why it uses anemones to hide from predators. Anemones protect the clownfish with their cnidocyte in their tentacles. At the same time, the clownfish protects the anemone from specialized predators. The anemone and clownfish engage in symbiosis – this is why the genus, to which the clownfish belongs, is called amphiprion. Walking leaves (Phyllium giganteum) are masters of camouflage. They can hardly be distinguished from a normal leaf. 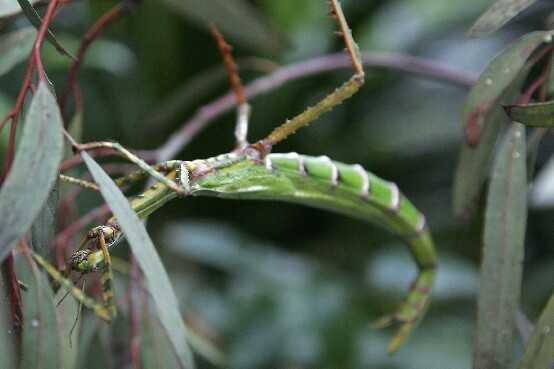 When in danger the walking leaf starts shaking like a leaf in the wind and therefore becomes almost invisible for their predators. Even in the terrariums of the Biosphere you need to look closely to discover them. Even though the name (royal python) is suggesting something else, the python regius with its approximate length of 1.2 m is one of the smallest species of python. The name possibly refers to the time, when some African rulers wore the python as jewelry on the head. If in danger the python coils up into a ball and hides it head – this is why it is sometimes called a ball python! Due to its adaptability, it does not only live in the tropical rain forests but also in savannahs of west and east Africa and occasionally gets close to men.